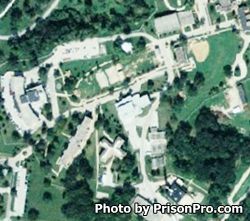 Located in Northwestern Illinois, East Moline Correctional Center is a minimum security institution that houses adult males. Currently this facility can house 1,446 inmates. One of the primary roles of this institution is to prepare inmates for reintegration with society. To achieve successful reintegration, many of the programs at East Moline Correctional Center are based around teaching the offender new skills, vocational, educational and coping skills. Programs offered at this facility through the Chaplains office include Alcoholics and Narcotics Anonymous, worship and prayer services as well as tutoring/counseling. Correctional industries offered at East Moline Correctional are in laundry. Vocational taught are in various construction disciplines, culinary arts and custodial maintenance. Inmates can also earn a GED or get an adult basic education. Visiting occurs everyday from 8:30am-5:30pm, you must arrive by 3:30pm in order to be processed into visitation. Inmates may have up to five visits in a month but only two of the visits may be on a weekend or holiday.